In addition to abundant parking on Main Street, there is parking in the back lot as well as the nearby shopping center across the street. · Enter through front door. At intersection, for Route 1 and Main Street, take a left onto Main Street (see Starbucks on left) and follow simple directions above. Please note: If using a GPS or you are generally familiar with this location, the address is super-easy to find. The slight complexity is turning into the proper driveway. I have highlighted the tricky parts. Please pay attention to those details. 1. Take exit 61 (Route 79). 2. Right at the stop sign at the end of the ramp. 3. Left at the second traffic light onto Bradley Road. The entrance is the second driveway. (The exit is the first). While there is some parking on the side of the building where we are located, there is ample parking in the back of the building. Upon entering the office, there is a reception area. Proceed past the reception area to the board room where class will be held. 2. At the traffic light at the end of the ramp, take a Left. 3. Follow directions above from the second traffic light. If you are traveling on Rte 1/Boston Post Road, connect with Route 79 heading north, make a right on Bradley Road and follow directions above. To register for any test prep class, please send a $100 deposit to The Learning Consultants, 12 Acorn Drive, Old Saybrook, CT 06475. Please include your name, e-mail and phone number. Or, visit our payment page, to pay by credit card. 121 Main Street, Old Saybrook, CT, is not our mailing address. 1. How Are You Different from Other Tutoring Companies? 2. What Is Different About Your Test Prep Services? 4. How Do I Register for One of Your Courses? 5. What Do You Mean by Student Mastery? 7. How Will You Help My Child in a Different and Better Way? Most tutoring/test prep entities are franchises. Franchises are established based on the hope of earning the most money possible at specific site locations. That’s fine. This is not an anti-business rant. Some of the educators who work for these companies are good. Some of them are very well-meaning. But you should know that each of these franchise sites has a mandate to reach certain financial goals. In order to reach the financial goals, many service representatives, even the well-meaning ones, are pressured to enhance their profit margins by selling expensive programs that require a large commitment of time and money from their clients — you. In some cases, these expensive programs are what the student needs. In other cases, the sales demand influenced the educational recommendations and pressured parents, who only want to do what’s right for their child, to spend a big chunk of change on a program that could have more effective in half the time and half the cost. At The Learning Consultants, we have quite the opposite philosophy. Instead of urging a long-term commitment, we are hopeful that our students will become self-directed and self-competent as soon as possible. If we are teaching our students to rely on us — like some of these other programs do — then we are not really doing our job. Our job, plain and simple, is to make students independently successful. Our work is not about us, or even the the parents of our students. Our mission is all about our students. Our teaching quality is superior. We are the teachers. Please ask your own trusted sources about this issue. Daryl Capuano, The Learning Consultants founder, is the primary teacher in our test-prep programs. If Stanley Kaplan was teaching for Kaplan or Adam Robinson (the primary designer for the Princeton Review) was teaching for the Princeton Review, then you would be assured that the company was providing a top teacher for your child. Jean Card, the other primary teacher in our test prep programs, is an outstanding teacher who has been working with thousands of students successfully over the years. Our other teachers, Dr. Kristina Knobelsdorff, Dr. Dan Hartman, Dr. Matt Fleming, Lamar Ager, Galen Cawley and Jesse Brockwell, among others, are similarly highly experienced and talented teachers. In addition, we have hired top teachers throughout Shoreline, CT who have taught in the Guilford, Madison, Old Lyme, Old Saybrook, East Lyme, and Essex school systems, among other places, as well as in top private schools in the area. The quality of teaching at many tutoring franchises varies from site to site and from year to year at each site. These companies usually hire very smart grad students or college students who did well on the SAT to teach. Some are good teachers and good test-takers. Some are just good test-takers. As a comparison, consider chain restaurants like Bennigans or The Olive Garden. They are reasonably OK. If you were stuck in a strange town and were not adventurous, you might choose any of these establishments over an unknown restaurant. But what if you were told by some locals that a certain restaurant had far superior quality at the same price? Chances are that you would skip the franchise and head for a meal at the local recommendation, right? Your family will receive personal attention. Most of the franchise companies are impersonal. You and your child are identified as client #10000. Your unique needs and your child’s unique issues are rarely ever addressed with particularity. The turnover of personnel at such companies necessarily leads to an impersonal approach. At most of these site locations, the teachers are graduate students who will soon be moving on within their intended career path — which is not test prep teaching — and the managers of the site location are hopeful to either leave the company for better-paying jobs or to move up the ladder within the company away from you. With The Learning Consultants, you will deal with a local business with deep roots in the Shoreline, CT community, and management that will be around through the years to help you and your family. Your results will be superior. 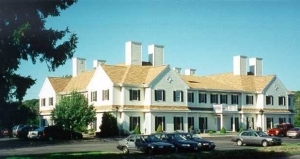 Our reputation for tutoring and test prep excellence in the Shoreline, CT is unsurpassed. Our students have consistently raised their performance in a way that far exceeds our competitors. As a company, we have grown significantly in the last few years. Our popularity may have something to do with the fact that our students like us. Our results, however, are what make our clients passionate about telling their friends about us. Compared to Sylvan, Kaplan, and Princeton Review, we have a minimal marketing budget, yet in the Shoreline, CT we have grown at a far faster rate. Why? Word-of-mouth from parents whose children have enjoyed great results. Schools throughout Southeastern CT have asked us to teach in-house programs. Since our staff consists of only top notch teachers, we have limited our in-school programs to The Williams School, in New London, CT, The Grove School in Madison, CT, Old Saybrook High School, Lyme-Old Lyme High School, in Old Lyme, CT, Southeastern CT Chinese School in East Lyme, CT, Franklin Academy in East Haddam, CT and Valley Regional High School (Essex, Ivoryton, Chester) in Deep River, CT.
As word-of-mouth is our best advertisement, please ask your Connecticut neighbors about The Learning Consultants tutoring, test prep and educational advisory services in Branford,CT Guilford, CT Madison, CT Clinton, CT Westbrook, CT Old Saybrook, CT Haddam, CT Killingworth, CT Durham, CT Essex, CT Deep River, CT Chester, CT Old Lyme, CT East Lyme, CT Waterford, CT Groton, CT New London, CT, Montville, CT, Mystic, CT and Stonington, CT. 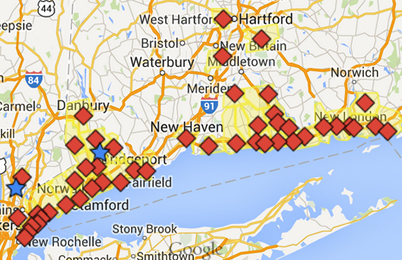 These Connecticut locations are not exclusive as we do service other areas. Please also ask your older friends, guidance counselors, and other parents about our tutoring and test prep in Branford, Connecticut, Madison, Connecticut, Guilford, Connecticut, Clinton, Connecticut, Westbrook, Connecticut, Old Lyme, Connecticut, East Lyme, Connecticut, Waterford, Connecticut, Haddam, Connecticut, Killingworth, Connecticut, Chester, Connecticut, Essex, Connecticut, Deep River, Connecticut, Mystic, Connecticut, Montville, Connecticut, Stonington, Connecticut and other Shoreline Connecticut locations. The Learning Consultants is considered the premier tutoring and test prep company in New Haven, Middlesex, and New London counties in Connecticut. Please send a $100 deposit to “The Learning Consultants,” 12 Acorn Drive, Old Saybrook, CT 06475. Please include your name, phone number and e-mail. Please indicate the course in which you are enrolling. Or visit our payments page and enter appropriate information. Every important job or profession provides training. This training usually involves teaching of the best techniques for becoming proficient in a given area. These techniques are known as the “best practices” for each job. Essentially, adults tell children to care about issues (careers, paying bills, raising families) that have no emotional meaning to young adults. At The Learning Consultants we have developed a proprietary methodology for shifting the students’ psychological energy toward academics. Our success as a company has stemmed as much from inspiring students as it has from teaching the technical aspects of effective studying. Once we develop a solid foundation, we are able to teach the more technical aspects of how to be a top student. We divide the concrete, nuts and bolts aspects into: daily studying (including time management), classroom performance, and tests/projects. Each of these areas certainly has many general and obvious components (active participation as a best practice for classroom performance, for example). Where we stand out is that we are better placed to give advice because we are “not the parent.” Even then, there are many subtle techniques that are part of our proprietary framework for success that most parents never even think to suggest. Students who follow the process as we prescribe it are stunned to discover they are not only more effective, but also more efficient in their studying. They are happy with their improved grades but are also happy that we have made studying more engaging and less time-consuming. On a more formal basis we have been asked to teach study skills to students and guidance department at The Williams School, in New London, CT, the Grove School in Madison, CT and Daniel Hand High School in Madison School. Our central offices are 121 Main Street, Office 3A, Old Saybrook, CT and 71 Bradley Rd, Madison, CT. Click on our Directions tab to find precise directions. We also teach in-school programs throughout the Shoreline and have teachers located throughout Southeastern, CT who can meet in convenient locations throughout the area. There was an old TV advertisement that noted “educated consumers are our best customers”. When we speak with clients who are in towns such as Guilford, Madison, Old Saybrook, Old Lyme, Essex, and East Lyme where we have worked with so many students that we are in the parent word of mouth circles, our initial conversations are often very short. “I heard how you helped several of my friends. Can we get our child into your SAT class [or set up with one of your tutors]”?When parents call us for their tutoring needs from other Connecticut towns, we understand that their knowledge about us is not as developed. We will try to highlight a few areas that have created our reputation throughout much of Eastern, Connecticut. But, we urge you to ask trusted advisors about The Learning Consultants in relation to tutoring and test prep. Parents throughout Shoreline, CT want to know what our company does as they sort through options for helping their child get better grades or score better on standardized tests. To answer succinctly: Our company helps students of all ages perform better in their academic life. While this involves the common understanding of teaching and tutoring, our Mastery Programs are simply different than what is done at large franchise tutoring companies. • We provide a highly customized, individualized approach, as opposed to the factory oriented, cookie-cutter approach that larger tutoring organizations employ. We should also add that you will be dealing with a tutoring and test prep organization that was created with students from Shoreline, CT in mind. • We make our students self-directed as soon as possible, as opposed to the franchise approach of trapping students into lengthy year or multi-year engagements. • We approach performance from a holistic framework (internal motivation, overall study skills, time management — as opposed to only subject-specific tutoring). For example, in our test prep programs, we help shift the overall motivation of our students towards college. When we have the hearts of our students, the mind will follow. So, if we can get our students excited about college, then they are more willing to work hard in test prep. In addition, The Student Mastery Program focuses on internal motivation and best practice techniques for training children and young adults to reach their potential as students. We then incorporate tutoring for areas where the student is not ready. Why is this a different approach? Tutoring is critical to teach concepts. In and of itself, however, subject-specific tutoring does not incorporate motivation and overall study skills. While a student may increase their conceptual understanding in a subject through tutoring, he or she may still fail to turn in homework or manage time effectively or participate in class or care about performing well in school. We can be the difference-maker by building the foundation for academic success. The Student Mastery Program covers all areas related to overall student performance.